Yesterday evening the Flight data recorder (FDR) of the SSJ100 aircraft #97004 was found at approximately a kilometer of distance from the place of the aircraft collision with ground. This morning the FDR was officially handed over to the Investigation Commission of the National Committee for Transport Safety, KNKT. The unit is not essentially damaged. The commission is currently inspecting the FDR. After the inspection the Indonesian experts will start to decode the FDR data. The activities will be done in presence of SCAC’s experts that are currently in Indonesia. 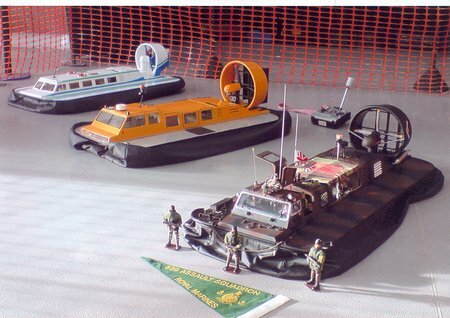 If necessary, SCAC is ready to provide both technical and expert support in running these works. “We thank our Indonesian colleagues for carrying out search works in difficult conditions on site. The rescue of the FDR will allow the definition of a clear picture of the event and will expedite the investigation”, noted SCAC President Vladimir Prisyazhnyuk. 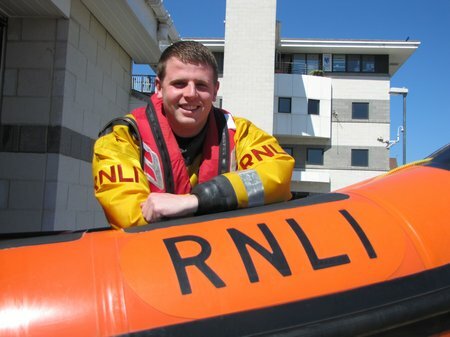 An emergency call out last week for Sunderland RNLI proved to be a landmark mission for its volunteer Jonny Lindsley after he formed part of the boat crew onboard the stations Atlantic 85 inshore lifeboat for the first time during a real rescue mission. On behalf of the Executive of North Shore Rescue Team Society, I would like to respectfully state that the basing of the full time Fast Response Vessel at the Kitsilano Coast Guard Base continue. 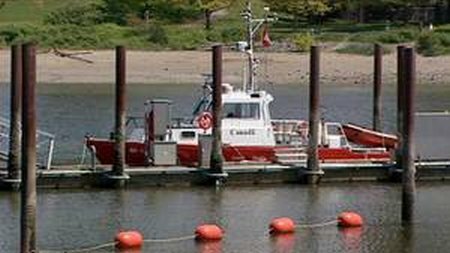 This vessel plays a vital role in not only marine search and rescue in and outside Vancouver harbor but in support of ground based search and rescue on the North Shore and Indian Arm. This full-time asset works in unison with the auxiliary volunteer lifeboats boats based at Horseshoe Bay and Deep Cove to ensure that a seamless capability is available 24/7, 365 a days a year. 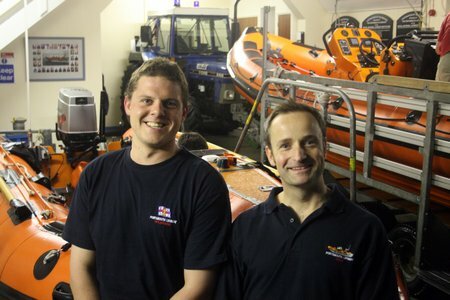 A trio of volunteer crew members from Portsmouth RNLI lifeboat station will be helping to ensure participants and spectators have a safe and enjoyable time at the Diamond Jubilee Thames Pageant in London on Sunday 3 June. 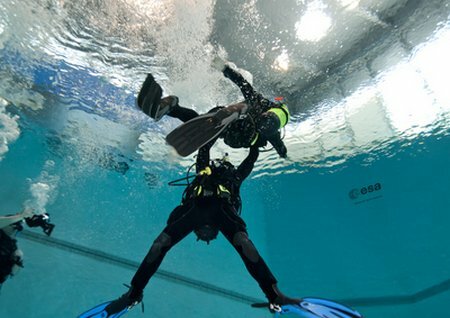 ESA astronaut Timothy Peake training for the PADI Rescue Diver certificate at ESA’s astronaut training centre in Cologne, Germany. “The better diver you are, the better you will be at spacewalks,” explains Hervé Stevenin, head of the Astronaut Training Unit preparing ESA astronauts for spacewalks. ESA astronaut Timothy Peake’s crewmates on this year’s Neemo underwater training can rest assured: Tim is training as a rescue diver at the European Astronaut Centre in Cologne. Rescue 21 system increases the speed and accuracy of maritime search and rescue operations while improving Coast Guard effectiveness in responding to security and maritime environmental threats. 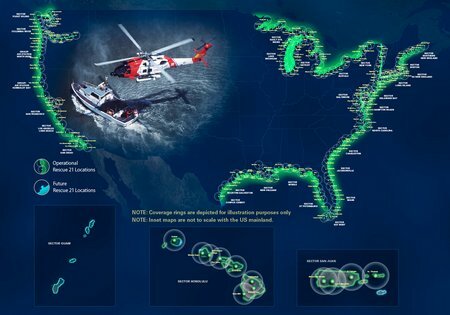 SCOTTSDALE, Ariz., May 29, 2012 /PRNewswire/ — The U.S. Coast Guard today formally accepted the General Dynamics C4 Systems-built Rescue 21 search and rescue communications system now serving Sector San Juan. With the command center located in Old San Juan, Puerto Rico, Sector San Juan is responsible for all Coast Guard missions throughout the Puerto Rico and U.S. Virgin Islands region. Using advanced direction-finding technologies and digital communications, the life-saving Rescue 21 system enables Coast Guard personnel to respond rapidly and efficiently to calls from distressed mariners out to at least 20 nautical miles from shore. The system also enables them to be more effective in responding to security and maritime environmental threats. 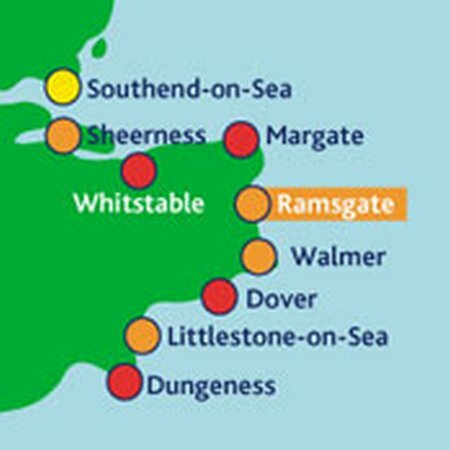 Both of Ramsgate RNLI’s lifeboats were called out at 8.12pm on Monday, 28th. May to search for a missing person reported to have been in the area of the lower River Stour. The all weather lifeboat searched in Pegwell Bay, Ramsgate around the river mouth whilst the inshore lifeboat conducted an extensive search along the river. Sunderland RNLI inshore lifeboat tows the stricken fishing vessel back into Sunderland harbour. 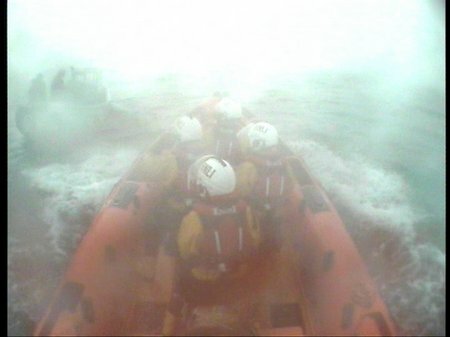 Volunteers from Sunderland’s RNLI lifeboat station got two rescue missions for the price of one when they were called out this afternoon to initially assist the crew of fishing boat which had broken down but came across a second fishing boat which had become lost in thick fog one mile off Sunderland. 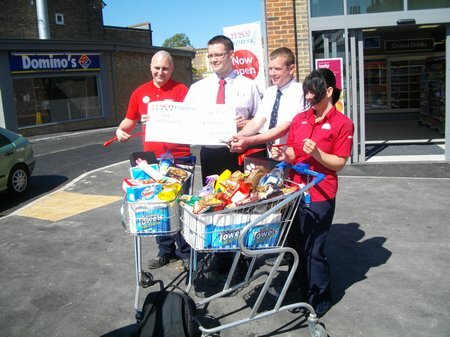 Having carried out the official opening of the new Tesco Express store at St. Lawrence, Ramsgate on Saturday, 27th. 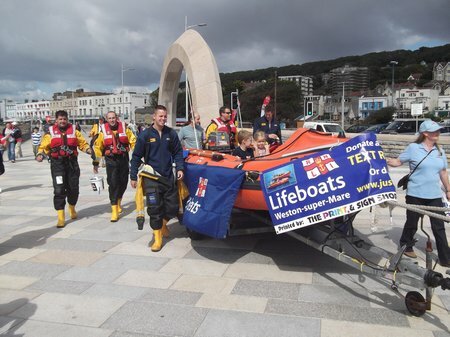 May and receiving a cheque for the RNLI for £500 from store manager Stuart Welsh, Ramsgate RNLI Lifeboat Cox’n Ian Cannon (pictured centre right) was immediately called to the RNLI boathouse when the launch of the lifeboat was requested at 10.37am.